Father’s Day is all about celebrating the uniqueness of Dads, Granddads and soon-to-be-dads. Fathers come with differing interests, likes and ideas of what constitutes fun. For all those dads and their families who are spending time with us at Myrtle Beach Resort this month, this blog post will provide you with some great ideas to make Dad’s day special! 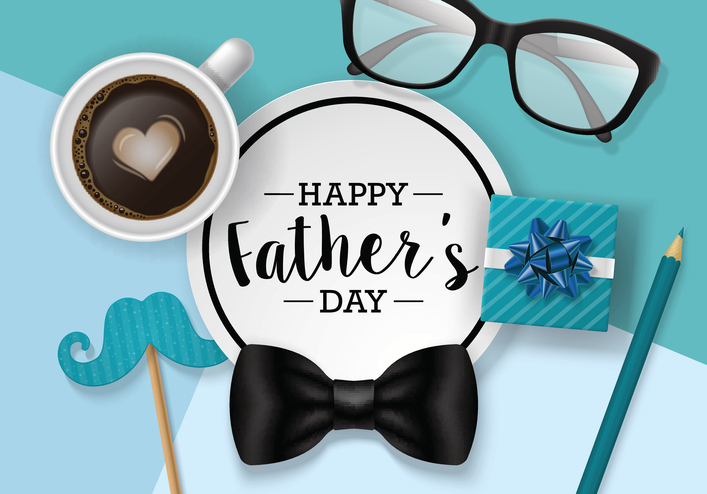 Here are great Father’s Day ideas to make the holiday extra special and forever memorable to the amazing dad in your life. Why not give him an unforgettable Father’s Day and make memories that will last a lifetime. Here are our Father’s Day recommendations for Dad’s special day. What’s better than a night out surrounded by those you love the most? Make plans to take dad for a nice dinner out on the Grand Strand. Fresh and succulent seafood is the specialty in this area, so if dad is a seafood lover, there are plenty of choices. There are also numerous steak houses, Italian restaurants and more for every taste and preference. Here’s a list by Trip Advisor of restaurants in Myrtle Beach. Light up the grill! Whether you’re cooking at home or on the beach, you can keep it casual yet delicious with a barbecue. Pick his favorites and create a specially tailored menu that’s sure to please. Don’t forget the wonderful local markets where you can pick up the freshest locally grown produce, specialty items, and the fresh catch of the day straight from the fishermen’s boat to your table. There are plenty of ways to enjoy meaningful time with your family during your Father’s Day stay at Myrtle Beach Resort. Why not choose that quintessential family night out at the beach and try your hand at a round of miniature golf? When’s the last time you and dad went to head-to-head on the putting green? Fishing adventures abound along the Grand Strand. Make a day of it whether you’re taking dad to the fishing pier to drop a line or on a high seas adventure on a chartered fishing boat. Here’s a list of where to fish in the Myrtle Beach area. Spend time with dad outside, get some exercise and take in the stunning coastal views that surround you. Take Dad parasailing, kayaking the inlets in the area or go rent some jet skis and power down the IntraCoastal Waterway! The Grand Strand area is home to over 125 championship golf courses. That’s enough to make Dad say “ahhhh…” Myrtle Beach is known as the golf capital of the east coast and once Dad plays here he’ll know why. Gorgeous greens and incredible views make your golf date with dad extra special. Find a golf course in Myrtle Beach to play! Pack up all your gear and bring dad to the Myrtle Beach State Park and spend your day together soaking up the rays, sinking your toes in the sand and feeling the ocean breeze. Memories will be made, relaxation will be had, and you’ll walk away feeling refreshed and rejuvenated while spending quality time together. Happy Father’s Day to all of the special dads out there! May your day be the best it can be and spent with those who matter most. This entry was posted in Father's Day on June 12, 2017 by Myrtle Beach Resort Staff.